In last week’s blog post, I began to make a case for the aerobic energy system and left off with the analogy of this system being the base of a pyramid. In this post, I want to go more in-depth regarding what the aerobic energy system does, and even mistakes to avoid when training it. I think the first big clue we get regarding the aerobic energy system is the last two words, it is an energy system, meaning through various ways it provides energy to our body to function. In our body, we have three primary energy systems. The other two manifest themselves most during endeavors, such as competition. However, the aerobic energy system manifests itself even as I am sitting here typing up this post. To some extent all three energy systems are always functioning, however, at rest is when the aerobic energy system is operating the most out of the three systems. Why is this important? Well, let’s consider a competition where an athlete gets subbed out in the middle of the game to rest. The better their aerobic energy system, the quicker their body will be able to re-establish itself and recover during the game. Such athletes tend to be the ones we admire at the end of the game. On a grander level, let’s say you had a hard day of training at the gym, the better the aerobic energy system, the faster you will be able to recover after the workout and the more consistently you will be ready to go hard in the gym without hindering your recovery. I hope you are starting to see, the better the aerobic energy system functions, the more capable we will be even in life, and especially as it pertains to performance. However, there are errors we can make when training this energy system. For athletes, the better the aerobic energy system, the quicker the body will be able to re-establish itself and recover during the game. There is an old school mentality a lot of athletes and coach’s have where they think the only kind of cardio they should do is the kind which pushes your body to the limit, anything less is counterproductive. While there is a time and place to do this, using this as the only means for cardio will not actually fully enhance your aerobic energy system. Instead, by just training in this manner we may sabotage the aerobic energy system’s ability to help us recover when we are at rest. I used to scoff at cardio machines and even training such as just going for a run. 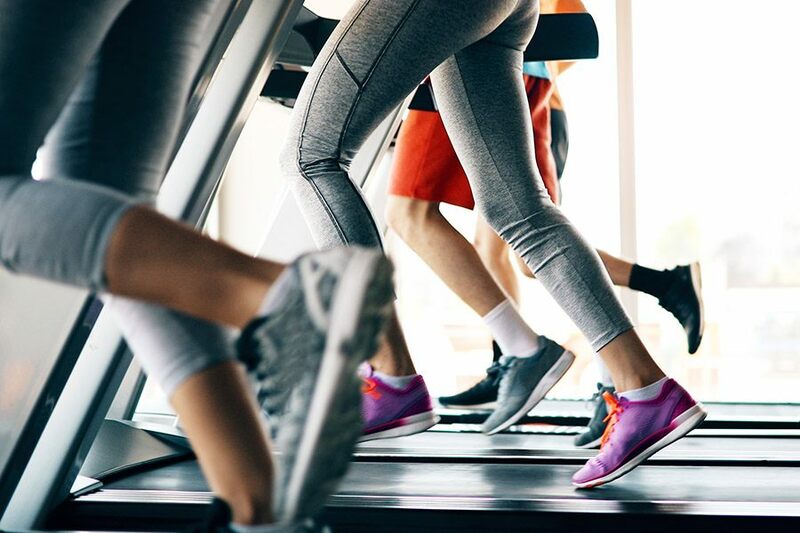 While there are pros and cons to everything, neglecting methods of cardio such as biking, swimming, and running will hinder your ability to build a complete and robust aerobic energy system profile. These tend to be three of the biggest mistakes I see when it comes to training the aerobic energy system. However, do not throw the baby out with the bathwater. As I mentioned, there is a time and place to go hard, there is a time and place to use free weights or strongman implements for cardio, and for some athletes, they need a lot of cardio early on in their off-season. In fact next week, I will discuss how to assess your aerobic energy system and how to train it depending on your goals. If you indulge me I would like to start off with a true story about a guy named George, names have been changed to protect the identity of this person. George loved to lift heavy weight, and he loved to work hard, but he got into the iron game hearing from people saying cardio kills your gains. Listening to this, George never performed traditional cardio. Instead, his idea of cardio was lift weights faster and do more reps. Suffice to say, it was not long before George found himself always getting gassed after workouts and his gains suffered. He felt weak and out of shape, even if he did not necessarily look like either. What had happened is while George had a robust capacity to handle heavy weights, but his body’s ability to recover had been compromised by his lack of cardio. Funny enough, George began adding true aerobic and cardiovascular exercise back into his workouts. However, he did too much, and it still killed his gains, and George felt like he was spinning his wheels. The story of George is a cautionary tale, and yet it plays out in so many of our lives. For a long time, there was thought around the idea of cardio and weight training negating each other. Even more so for athletes, cardio and explosiveness negate each other. The truth, as always, is somewhere in the middle. The mistake many people including George make when cardio is not necessarily their goal is they go all in, or they don’t go at all. If they do cardio they will do way too much of it, or they will succumb to high-intensity interval training (HIIT) as their sole source of cardio, or they just avoid cardio like the plague. All of the above is wrong. The advantage of traditional steady-state cardio is the impact it has on our aerobic energy system. This energy system, when appropriately trained allows us to recover faster, and ought to be the foundation of all our performance. As with many aspects of fitness, I cannot think of a metaphor more fitting than a pyramid. The bigger the base of the pyramid the more potential you have of making a grand monument. Well regarding the aerobic energy system this is our base of the pyramid. The better this system works the more potential the rest of our training will have regardless of the endeavor. In coming blogs, I will discuss more clearly what the aerobic energy system is mistakes made when training our aerobic energy system and how to prepare it properly. I will leave you with this, not only is our aerobic energy system the foundation of performance, but it is also the foundation of life.